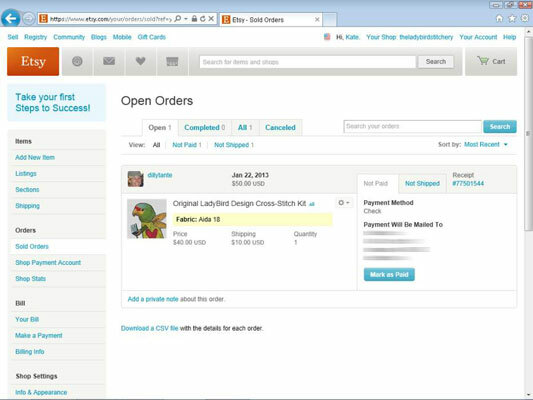 When someone buys something from your Etsy shop, that person will receive an e-mail from Etsy. It’s a receipt of sorts and contains all the details of the order. Buyers can click the order number (if purchased via Direct Checkout) or View the Invoice (if a different payment was used) link found in the e-mail to view the order online. In addition, if the buyer paid for the item via PayPal, PayPal will send her an additional receipt for the payment transaction via e-mail. Even though Etsy handles receipts and invoicing for you, you should still reach out to your buyer to express your thanks. This is an important part of customer service — and it’s essential to the success of your shop. 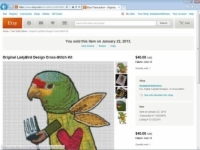 1Hover your mouse pointer over the Your Shop link along the top of any Etsy page. 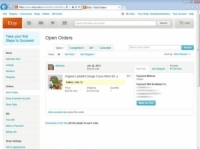 2Click the Sold Orders option. The Completed Orders page opens. 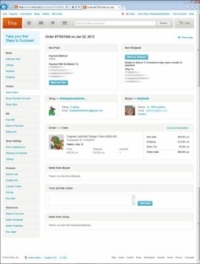 The Open Orders page appears. 4Click the listing in the Open Orders page to view it. 5Click the View Invoice link or the Receipt link at the top of the listing page. Etsy displays the invoice for the transaction. It contains key info about the transaction — whether the buyer has paid for the item, whether you’ve shipped the piece, the buyer’s shipping address, how much the item cost, and more. 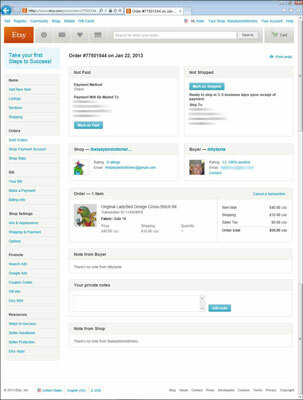 It also features a Print Order button (you can click to print the invoice) and a Print Shipping Label option (if you accept Direct Checkout and are based in the United States).